This week on the Disaster Podcast hosts Jamie Davis, the Podmedic and Sam Bradley are joined by regular guest Dr. Joe Holley and special guest Katie Amatruda, Psy.D., LMFT, CST-T, BCETS. Katie is a disaster psychology and counseling specialist who is a member of the same California DMAT (Disaster Medical Aid Team) as Sam Bradley. She comes on the show to talk about the psychological factors to consider when deploying to a disaster situation. Katie brings to the program experiences with disasters in Haiti, Indonesia, Hurricane Katrina, and more. She talks frankly about self assessment before deployment and continued scrutiny of team members during deployments for those individuals who need assistance during deployment. This is part one of a two part episode with Katie. We will continue the discussion next week on the show with a look at the challenges returning from deployments in the field. How well can disaster responders reintegrate into their normal lives after a disaster? We’ll find out next week. 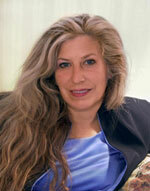 Visit Katie’s site for continuing education at PsychCEU.com. Thank you so much for interviewing me. It was great hanging out with you all in Cyber Radioland. I did misstate the unit we were embedded with in Haiti; I would like to thank the men and women of The 82nd Airborne Division’s First Squadron 73rd Cavalry Regiment. They were amazing! Thanks for coming on the show, Katie! You have an open invitation to come back on anytime!